For many people who live with chronic pain and do not respond to conventional treatments, there are innovative options for finding relief. If you are suffering from migraines, diabetes, epilepsy, fibromyalgia, or hard-to-treat depression, you may have an opportunity to use vagus nerve stimulation (VNS), sending gentle electrical pulses to the nerve that connects and communicates messages back and forth from the brain to many organs in your body. We’re just beginning to explore its potential for reducing pain. I have spoken about this therapy on the Aches and Gains radio show previously. You can listen to the first part and second part of my discussion with Dr. Benjamin Natelson, Professor of Neurology and Director of the Pain & Fatigue Center at New York City’s Mt. Sinai Beth Israel. We talk about the potential for suppressing pain with VNS, side effects from the therapy, and the hope for applying this new technology to a broad array of medical conditions. Within the last few years, researchers have found new promising evidence that suggests VNS could treat tinnitus, strokes, obesity, Crohn’s disease, rheumatoid arthritis and other conditions. What is Vagus Nerve Stimulation Therapy? The vagus nerve is the longest cranial nerve that passes through the neck, branches to the ear, and travels to the abdomen, heart, and blood vessels It has motor and sensory fibers and has the largest distribution in the body, which makes it ideal for stimulation. This nerve carries impulses throughout your body and communicates pain signals to your brain. With successful stimulation of the nerve, the pain can subside. There are two approaches to vagus nerve stimulation, conventional and noninvasive. In conventional, a device is surgically implanted under the skin on your chest, and a wire is threaded under your skin connecting the battery to the left vagus nerve in your neck. After implantation, the device is activated. It sends electrical signals along the vagus nerve to your brainstem. The brainstem will send those electrical signals to certain areas in your brain, resulting in pain alleviation. The right vagus nerve is not used because it carries fibers that supply nerves to the heart. An implantable device that stimulates the right vagus nerve is also under study for the treatment of heart failure according to the Mayo Clinic. Noninvasive stimulation is a newer and non-surgical approach to VNS. The nerve is stimulated through a handheld device placed on the neck or with electrodes placed in the ear. One device is approved in Europe for migraines, and another for epilepsy, but not yet in the U.S.
What Pain Does It Treat? Vagus nerve stimulation therapy is most commonly used as an alternative treatment option for epilepsy. It can also be used for hard-to-treat depression when other therapies have not proven to be effective. Research is still being conducted for the treatment of other conditions like Alzheimer’s disease, multiple sclerosis, chronic headaches, and other sources of chronic pain. According to the Mayo Clinic, 30-40% of people with epilepsy do not respond to anti-seizure drugs or other forms of treatment. If you or someone you know does not respond to any typical treatments, talk to your doctor about vagus nerve stimulation. These devices are designed to work around the clock to prevent seizures from happening. The FDA has approved this therapy for patients 12 years of age and older who live with partial epilepsy that isn’t controlled by other medications. If you or someone you know has not responded to any intensive depression treatments (antidepressants, psychotherapy, etc) vagus nerve stimulation may be valuable alternative. This stimulation goes directly to the brain through the nervous system unlike other therapies. It may be extremely effective depending on the severity and type of depression. Aches and Gains radio guest Jean Haase, a fibromyalgia sufferer, shared the dramatic effects of VNS on relieving her pain as part of my two-part show featuring Dr. Benjamin Natelson. To listen to show as a podcast, subscribe to Aches and Gain On-Demand with either link below. 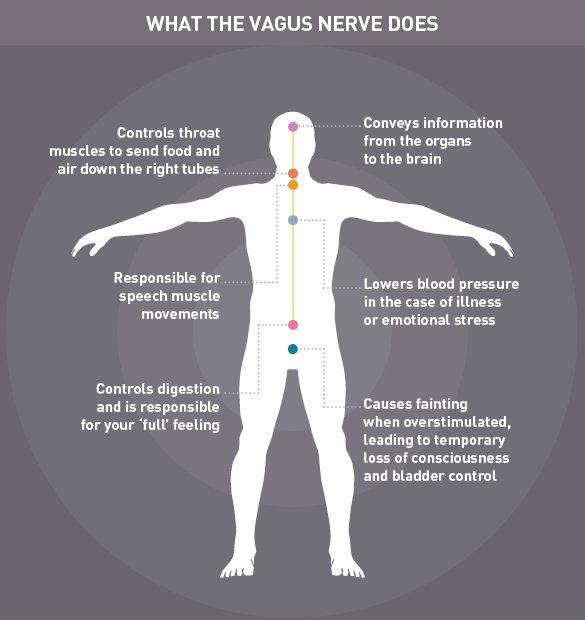 For a more in-depth look at everything you need to know about vagus nerve stimulation including the procedure, side effects, and the future of the therapy, read one of my previous in-depth blogs about the therapy. A recent study published just last year suggests that VNS might even be a promising treatment for curbing cravings among drug addicts. Remember, no one is immune to pain but together we can overcome it. 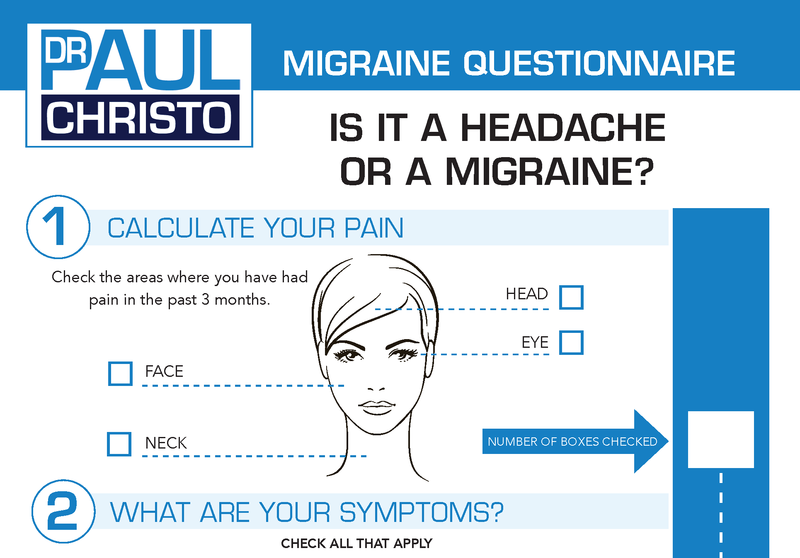 Posted in Blog, Head Pain.